To Change Your Life, You Must First Change Your Mind! Absolute Wellness Center addresses the holistic needs of every individual we serve. We believe in getting down to the root or the “heart of the matter” and dealing with the real issues that disrupt our normal functioning and success in life. We help you regain control, enabling you to move forward in the pursuit of happiness and your total overall well-being. Anchor Point is a center for healing and wholeness of mind, body, and spirit. 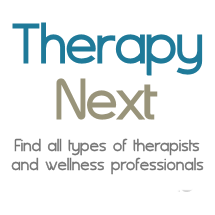 Methodology includes traditional psychotherapy, mostly cognitive behavior therapy, along with biofeedback and neurofeedback as appropriate to the client's needs. Most clients find biofeedback enjoyable and effective, even though they may find it a bit mysterious at first. Is something missing from your relationship? Christina offers individual psychotherapy and counseling for adults and adolescents (ages 12 and up), group counseling for adults, and Psych-K. Psychotherapy can help you cope with depression, reduce anxiety and stress, increase self-esteem, improve relationships, increase self-awareness and self-understanding, find balance, transform limiting beliefs, and much more. Guiding Children and Their Families Through Early Life.